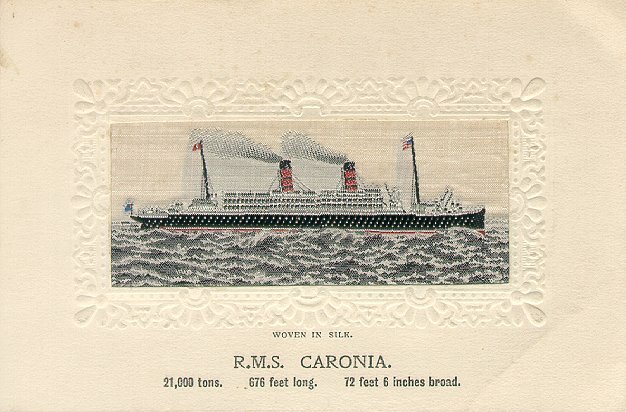 Caronia, launched on 13 July 1904, was built for Cunard by John Brown & Co. of Glasgow. 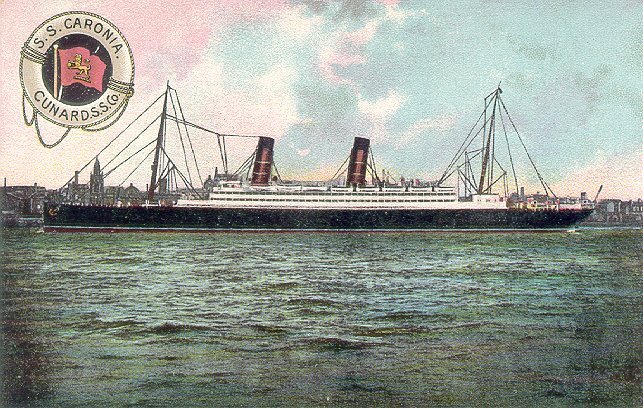 She left Liverpool on her maiden voyage to New York on 25 February 1905. 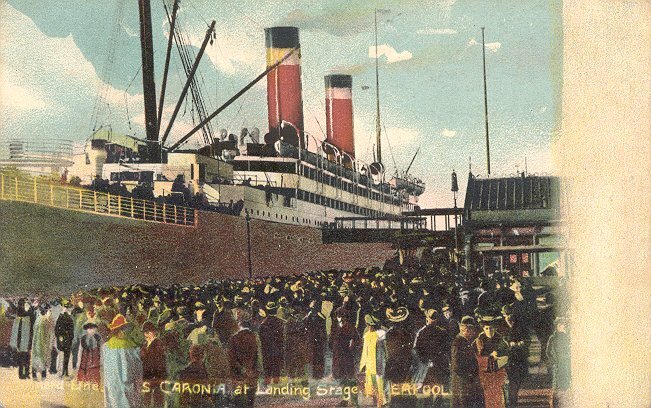 A successful 1906 cruise from New York to the Mediterranean led to Caronia's being used for cruising frequently in the coming years. 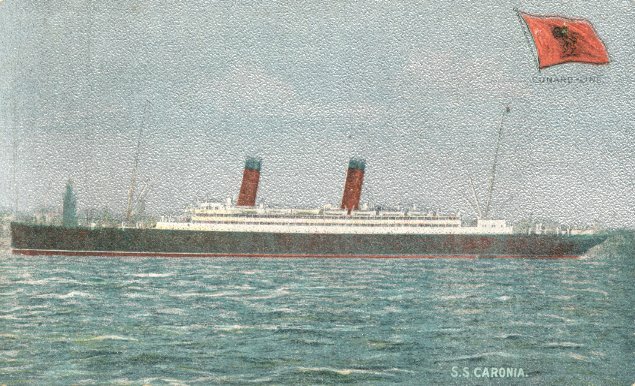 Caronia briefly placed on Cunard's Boston service in 1914, but the start of World War I saw her requisitioned as an armed merchant cruiser. In 1916, she became a troopship and served in that role for the duration, returning to the Liverpool-New York run after the War. 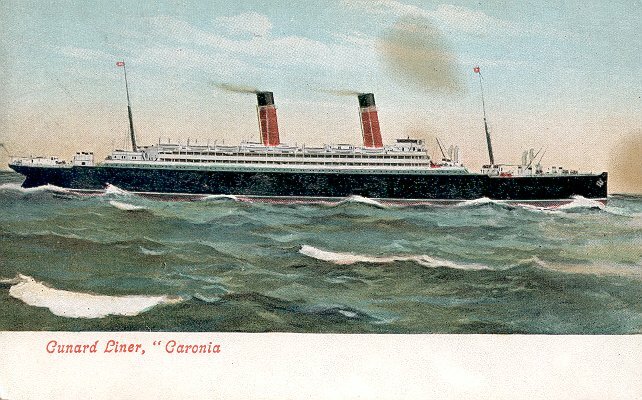 In 1920 Caronia was converted to oil. 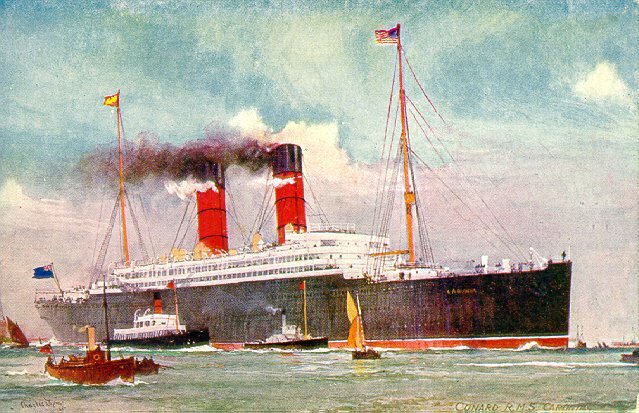 After returning to service, she sailed on a number of different routes, including New York/Boston from Liverpool, New York from London, New York from Hamburg (1922), Quebec from Liverpool (1924), and cruised to New York from Havana. 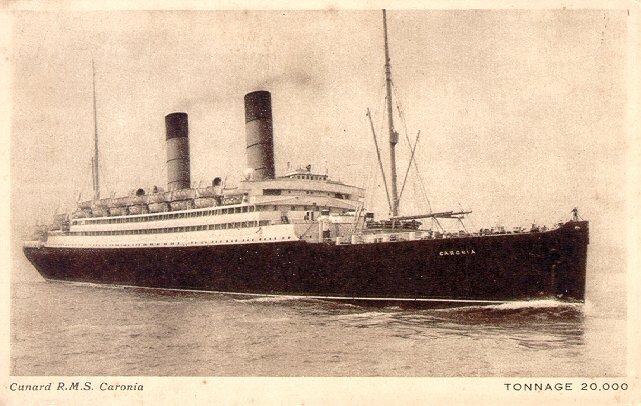 Her last voyage, London-New York was on 12 September 1932, after which she was sold for breaking up. 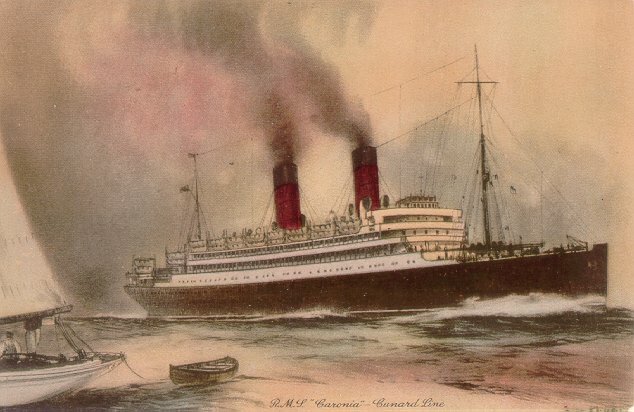 Initially sold to Hughes Bolckow for demolition at Blyth, she was resold, renamed Taiseiyo Maru and sailed to Osaka, where she was scrapped in 1933.